We all know the look. The sad, helpless, doe-eyed stare from our most loyal of companions. The look they give us when they just know we’re leaving them. Whether it’s for 20 minutes or 2 days, they don’t know. They just know you’re leaving and it’s a horrible feeling for them and you. Instead of torturing yourself or your best friend, bring them. Here are 10 Tips for Kayak Camping With a Dog. Apply these tips to everyday kayaking with a dog too! If you’re absolutely new to kayaking, check out our Kayaking for Beginners guide before you attempt kayaking with a dog. You need to be confident in your kayak before you can expect your dog to be. The absolute most important thing to remember when taking your dog kayaking is that their life jacket needs to be worn when in the kayak or near the water. Just like you wear yours, your dog must wear theirs. They can certainly make your pup look pretty silly, but a life jacket for your buddy could save their life. Your dog may be a great swimmer in the pool, at home, but out on a river, currents can sweep them away before you know it. With the life jacket though, their chance of making it safely back to you or the shore has increased tremendously. Life jackets are made to fit the smallest of dogs and the largest of dogs, so the proper size is key. 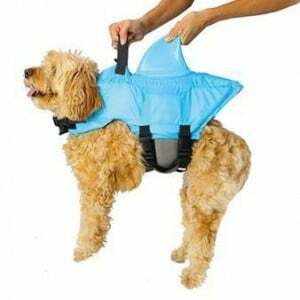 A good life jacket for your dog should have a handle on the back and preferably be a reflective color. The handle is great for assisting you in getting your pal back into the kayak or to shore. Some dogs are too large and heavy to lift, but the handle will help you keep control and guide them to a safety. Before even considering a trip down the river with your dog, proper obedience and basic training are paramount. If your dog is not trained with basic commands, now is not be the best time to venture out on the river. Having the ability to recall your dog immediately can be a matter of serious injury or death. Dogs can easily be excited or spooked by animals roaming the shorelines. Taking a course for basic obedience is a great start. Basic obedience builds a stronger bond between you and your dog. With proper training, it makes for a more enjoyable, safe adventure on the kayak. Staying hydrated on any outdoor adventure is extremely important for your health and the health of your dog. We all know the importance of drinking plenty of water and the positive effects it has on us, well our dogs are no different. Staying hydrated keeps them from experiencing many horrible side effects such as vomiting, diarrhea, weakness, elevated heart rate and/or collapse. *If you notice any signs or symptoms of dehydration, paddle to shore and seek veterinary care immediately. Dogs always seem to slurp up the most unappealing puddle of sludge they can find. Your dog should still be provided clean drinking water. If you wouldn’t drink it, don’t give it to your dog. 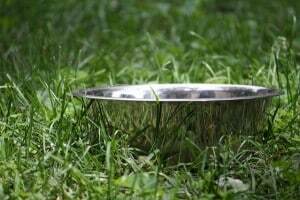 There are collapsible water bowls available to make providing clean water to your dog a breeze. The “Leave no trace” rule applies to dogs too! Just as you need regular bathroom breaks, so does your dog. It seems to me that dogs can hold their bladders a lot longer than I can, but they still need their breaks. Remember, you should already be taking frequent water breaks, so let your dog do his business then. 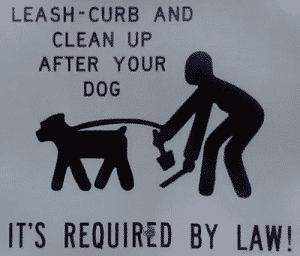 Always be considerate of others when cleaning up, or not cleaning up after your dog. You should carry doggie bags when you and your dog are outdoors. 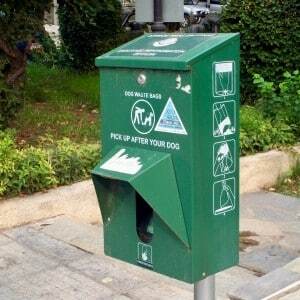 Dog waste, as well as human waste, need proper disposal by means of burying or carrying it out. You should only bury waste if you are at least 200′ feet from any water source. When camping with or without a dog, you should always practice the leave no trace rule. Dogs need to eat too. Being on a kayak camping trip doesn’t mean your dog can stop eating or stop eating properly for that matter. The urge to pass off some leftover sausage or bacon to the eagerly awaiting mouth of your pup is strong, I know. 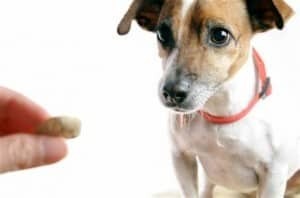 Some small, occasional human treats are ok, but for your dogs’ overall health and well-being, a well-balanced meal specifically for them is ideal. That means whatever you normally feed your dog, bring with you while on the water. When packing the meals and snacks for your trip, don’t forget to include food and treats for your dog. 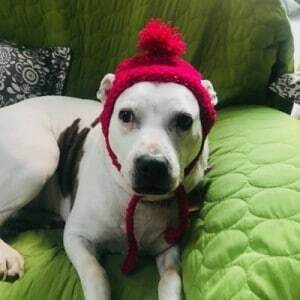 I know you’re potentially going to be camping on an island, and your dog can’t get too far, but having a leash and tie down gives you some peace of mind, especially at night. Anchored Tie-Downs are available, or like I do, wrap the lead around a close tree. Bringing both a short leash and a long lead on your adventure is a good idea for making life kayaking and at the campsite a lot easier. Short leashes are great for loading and unloading into your car and campsite and the long leads are perfect for tying off to a ground anchor, tree, or your kayak. Keeping your dog close enough ensures their safety as well as the wildlife and people you may come in contact with. Most parks and campgrounds have rules in place requiring dogs be leashed. Only you, your vet and your dog know what their health is and if it would be safe for them to join you kayak camping. Regular check-ups and current, up to date shots are a must! Any questions or concerns about the health and safety of taking your dog kayaking needs to be discussed with your veterinarian. 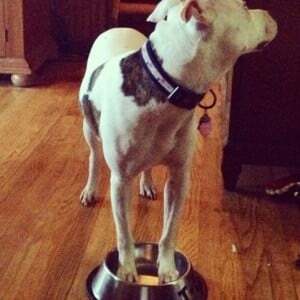 Any medications your dog needs or a certain food that is required will need to be packed as well. If you don’t have an identification tag with the most accurate information including things like name, telephone number, and address, get one. Now. It could really be the difference between seeing your companion again or not. Implanted chips are available that are read by vets and shelters if a dog is recovered. Additionally, it could provide further important information. For example, one of our dogs is completely deaf, so her tag reads, “I’m Angel & I’m Deaf”. It helps someone understand, in the event, she was to get lost or separated. Taking precautions against ticks and other insects is another concern for your dogs’ health and safety. Ticks are the number one concern for me when out in nature. 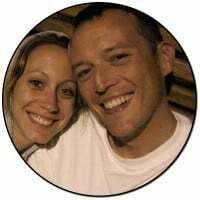 Having had Lyme Disease many years ago, I can tell you it’s not a fun time. Using flea and tick ointment on your dog before and during your kayak camping trip is essential to avoid diseases and the possibility of carrying critters back into your home. Yes, you will look ridiculous and your neighbors will think you’re very odd, but practicing with your kayak on dry land, with your dog, can make getting out on the water much less of a headache. Letting the dog explore and investigate the kayak on dry land should familiarize them enough so sitting with you is easier. 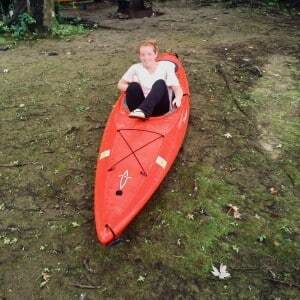 Sit on top kayaks would be the preferred kayak when paddling with a dog, as entering and exiting are much simpler. I sometimes kayak with our small dog and she fits between my legs at the bulkhead with no problem in my Wilderness Systems TSUNAMI 165 or the Dagger Zydeco 11 pictured here. Taking your dog on smaller trips starting out is a great idea. Calm lakes or ponds would be the ideal setting for you and your dog to practice. Remember, kayaking with a dog is a lot different from kayaking alone. 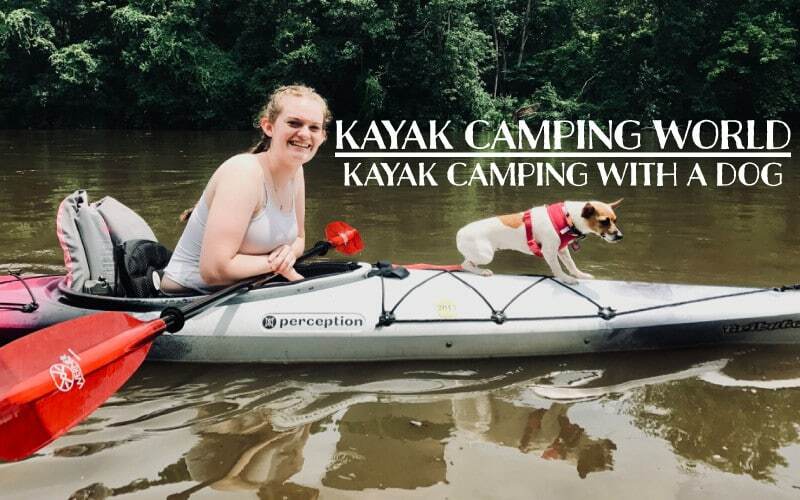 Not only does your dog need the experience and practice of kayaking before you start camping, you need the time to accustom yourself to a new distraction while paddling. When first starting out, it’s not a bad idea to have a friend or family member go with you to the water. Having an extra set of hands, legs, or eyes is helpful for getting you, and your dog, safely in the kayak. Keep in mind, kayak camping and kayaking are not for every dog and not for every dog owner. If you find that your dog is scared or hesitant about the kayak, it may mean that kayak camping is not for them. Some dogs have a fear of the water and you can either train them to accept it, or they can join you on a land adventure. You may also find that kayaking camping with a dog, just does not work for you and the gear you want to bring. Use your best judgment! Dogs can usually keep themselves occupied for hours on end, and kayak camping on an island would be no different. They will find every nook and cranny of the island before returning with muddy paws and something hanging from their mouth. Bringing their favorite chew toy or rawhide is a good idea to keep them distracted and most importantly, happy. Depending on your pup and the size of your campsite, having a frisbee or ball to throw is another idea to enjoy kayak camping with your dog. Normally our dogs sleep with us, under the covers, hogging all the bed and pushing us to the edge. Thankfully, kayak camping does not afford them this obnoxious luxury. Hammocks are not made for you and a dog, so laying down a tarp under the hammock keeps them dry and warm and more importantly, it keeps them close. Tents are another option when kayak camping. However, a concern that may arise in allowing your dog inside a tent with you, would be puncture holes in the thin tent fabric. Floors of most tents are made of a stronger, thicker material and can withstand the sharp nails. However, a puncture or tear could easily occur on the sides of your tent. Preparedness makes kayak camping a very rewarding experience. Accidents can and do happen so taking the time to plan will be important. A good idea is researching the surrounding area that you plan on kayaking. 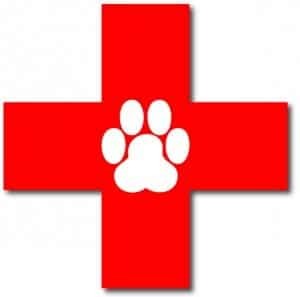 Look for local veterinary hospitals or clinics for if the need arises. The first kayak camping trip you and your dog take should be in waters that you are familiar with. Kayaking in unknown waters with your dog could lead to sudden shifts in weight, especially when encountering rapids or drops. This could easily cause you and your dog to capsize. 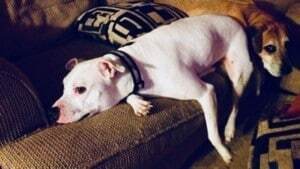 Above all, knowing where your dog is, and what they are doing at all times, is the most important thing to remember to maintain their overall safety. Kayak camping with a dog adds some additional responsibilities, but general kayaking safety rules should still apply. Leave your intended location(s) with a friend or family member. Let them know when you anticipate returning home. Provide names and contact information of your traveling companions, aside from Fido that is. Watching your pooch chasing frogs, or pouncing their own reflections, will be some of the most memorable times you have. Applying these 10 tips for kayak camping with a dog on multi-day or mini excursions is highly recommended. Kayak camping with a dog requires patience, planning, and preparedness. Keep these 10 tips in mind when considering a paddle with your pal. Check out our kayak camping gear list for what you’ll need to spend some nights on the river. Now get out there, kayak, and have some fun!